Hollywood, CA - The third annual California Vegetarian Food Festival is slated to tempt tongues and minds at Raleigh Studios in Hollywood over the weekend of September 29th. Brought to you by U.S. Veg Corp, this year the California Vegetarian Food Festival has joined forces with some West Coast plant-based powerhouses to provide expert speakers, chefs, athletes, amazing food vendors, and kids’ amusement makers to Los Angeles! Festival chefs hailing from all over the globe will be bringing their plant-based creations to the food demo stage. Each will show off their cooking techniques and provide tasting samples for the audience. And, speakers on the keynote stage will include new presenters as well as old festival favorites. YouTube celebrity, raw vegan chef, author of The FullyRaw Diet and founder of the Rawfully Organic co-op and FullyRaw Juice. 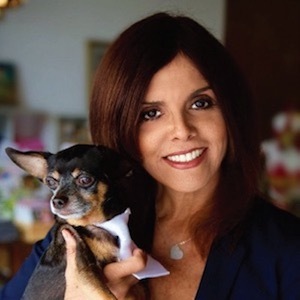 Jane Velez-Mitchell is well-known for her animal rights advocacy. Her reporting on animal cruelty earned Genesis Awards from the Humane Society. Born to a Puerto Rican mother and an Irish American father, she has worked as a co-anchor on Los Angeles-based television stations. Her books include Secrets Can Be Murder, iWant, Addict Nation, and Exposed. Plant-Based Nutrition (Idiot’s Guide) and columnist for VegNew Magazine. Chef AJ has made appearances on The Tonight Show Starring Johnny Carson, The Tonight Show with Jay Leno,The Late Show with David Lettermanand more. 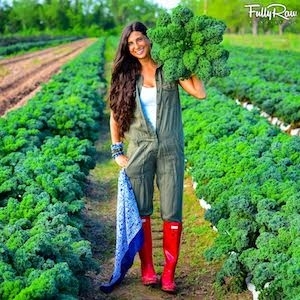 A chef, culinary instructor and professional speaker, she is author of the popular book Unprocessed: How to Achieve Vibrant Health and Your Ideal Weight, which chronicles her journey from a junk-food vegan faced with a diagnosis of pre-cancerous polyps, to learning how to create foods that nourish and heal the body. Beyond the Plate: A Culinary Climate Action Discussion with Dr. Ietef Vita (aka DJ Cavem) and featured guests: Alkemia Earth (holistic lifestyle coach), Justin Bua (artist, author), Ron Finley (gangster gardener, Liz Sanchez (owner, Wild Living Foods) and Rich Torres (owner, Wild Living Foods). A short film, From Gangs to Gardens, will feature before the discussion. A MUST-SEE performance from "Plant-Based Records!” Plant-Based Records patented technology turns fresh produce into live instruments by touch. Presented by Alkemia and DJ Cavem. Festival-goers who want to get a little physical can head to the Mind Body Zone where they will be put through gentle paces by several facilitators, including “success coach” Tristan Gutner. There will also be several sessions of yoga, reiki, meditation, amongst other health and wellness activities. For families with children, the festival will feature a Kumquat Kids Area with a variety of activities such as arts and crafts, storytelling, and even a bounce house! Information tables will be staffed by several humane non-profit organizations, including Share International USA, Mercy For Animals, Brother Wolf Animal Sanctuary, and Best Friends Animal Society. Scores of vegan food and lifestyle vendors will also be on the festival grounds, offering samples as well as wares for purchase. These include KeVita, VeggiDome, Fiesta Gourmet, Saucy Lips Foods, Sapp, The Donuttery, Orgain, Pan’s Mushroom Jerky, Bare Naked Botanicals, Cena Vegan, Revive Kombucha, Honest Tea, Los Colorines, and Farm Fresh To You. Sarah Feoli and Nira Paliwoda founded U.S. Veg Corp, an event production and marketing brand focused on the growing vegetarian and green markets. Buoyed by its annual flagship events, the NYC, AZ, and now CA Vegetarian Food FestivalsTM, U.S. Veg Corp provides offline and online opportunities throughout the year to target a passionate audience interested in a vegetarian and eco-friendly lifestyle. Nira and Sarah are active members of the local vegetarian and green movement. Their involvement with the community ensures that the events they put on address the latest issues concerning the vegetarian market and the most of-the-moment technologies. The California Vegetarian Food Festival runs from 10 a.m. to 5 p.m. on September 29th and 30th. Ticket prices range from $20 - $75 and active military personnel, veterans, senior citizens 55 and over and children 10 and under are free!